What is Argireline And is it Better Than Botox? Everyone loves a youthful and glowing skin appearance but as it is, this kind of youthfulness does not stay with us forever. Thus when you start to age, wrinkles and fine lines may start to appear on your face, neck and elsewhere the skin is sensitive. Even though a lot of people recommend going through Botox as the perfect solution to get rid of these aging signs, not everyone willingly wants to get a long needle injected into their skin. For people who are looking for an alternative solution just as effective as the famous Botox injections, anti-aging creams containing Argireline may be the perfect answer. 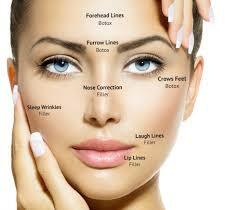 Argireline is made up of the same chemical compounds the Botox Injection is made up of. It has peptides that serve as chains of amino acids that can change the way how your cells work inside the skin. The basic function of Argireline is to make sure that the facial muscles when contracted are contracted with less force so that appearance of wrinkles is reduced. The only big difference between Argireline and Botox is that Argireline is applied entirely outside on the skin through a serum, cream or gel while Botox relies on a needle that pushes the chemical compound deep in the skin. Although Botox may produce faster results than Argireline, in the long run Argireline is a better solution because it is also quite cost-effective. If the wrinkle formation on your neck, face or under eyes has gotten to the point that it has started looking bad for you, then you need to use something as powerful as Argireline on your skin. Argireline is commonly added as an ingredient in some of the best neck creams and can be applied twice a day with your favorite cleanser and skin moisturizer. Since the chemical compound quickly absorbs in the skin, Argireline is perfect to use before going to bed or in the morning because it allows you to continue doing whatever you want to do after applying it on the skin. Related: Read Why SkinPro Believes in Argireline. Keep in mind that Argireline works best when used for at least 4 weeks consistently. The minimum time period in which results start appearing is 2 weeks but for people who have thick skin, 4 weeks is the bare minimum. But since old age causes the skin to get thinner, Argireline should still work for most of the people out there.